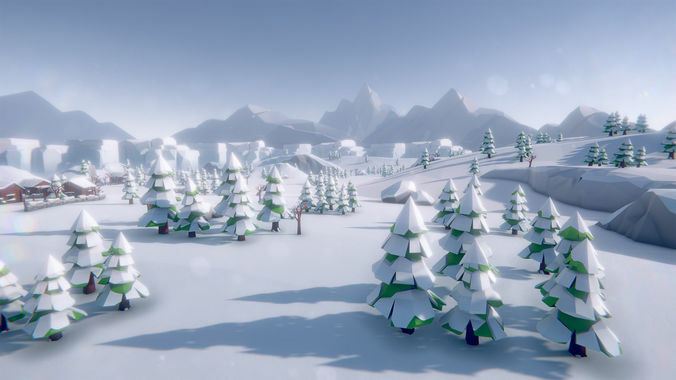 Build your own snowy villages or freezing tundra levels and landscapes with this asset pack in no time! The vast demoscene that can be seen on the screenshots is included (UnityPackage). The pack contains a lot of assets: Plants, Rocks, Mountains, Trees, Buildings, Castle, Camps & Tents, Marketstands and carts, Walls, Particle Effects und much more. Just drag'n'drop! All pivots are correctly placed and every mesh is scaled correctly with frozen transformations. The included FBX files can be used in any game engine or 3D software! Great quality, with great subtle details in a beautiful cartoonish texture.